Here are just some of the health side effects from being in contact with these chemicals, they range from increased sensitivity and new allergies, impaired fertility, central nervous system damage, inreased risk of Alzheimer's disease, increased potential cancer risk, breathing difficulties, brain tumors, coma and even death. In fact a chemical found in your average run of the mill hair dye contains what is known as a sensitizer. You may go blissfully unaware that this chemical is weakening your defences, making you more susceptible to allergies until it hits you one day and you suddenly can no longer dye your hair because you've suddenly developed an allergy towards it. Not only that, as a sensitizer you're left vulnerable to the effects of other chemicals that come into contact with your skin because a sensitizer facilitates the easy penetration of the skin allowing chemicals entry into the bloodstream. Once in the bloodstream these chemicals can come into contact with your internal organs such as your liver and your kidneys. 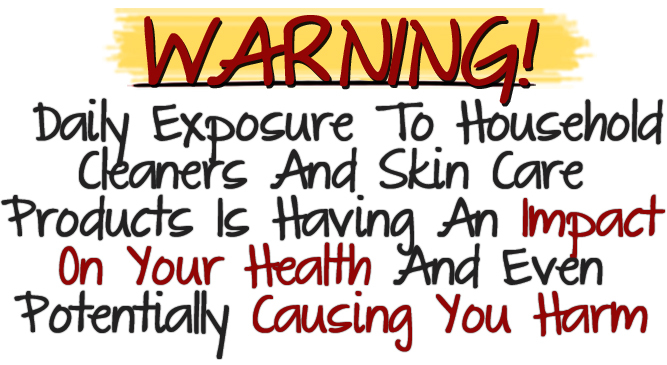 Another example of harmful chemicals in our everyday household products is deoderants. Several deoderants on the market contain aluminum which is used for its anti-microbe properties, this is what essentially controls the level of odor that arises from the bacteria in perspiration. However aluminum in deodorant is toxic to the body and is harmful to the nervous system and is linked with Alzheimer's disease and possible cancer. Part of the reason why we're suffering ill health more now than at any other time before is because we've become so out of synch with nature. The thing that we used to rely so heavily upon 100 years ago barely gets an afterthought as we reach for the headache or the sinus pill from the medicine cabinet. Nature is perfect. It just functions in harmony without so much as a second thought, it's we that synthesize and derive all of our medicines from nature's example. We don't have to chemically duplicate what nature has so perfectly created itself. Instead of using treatments with chemicals that were mimicked in nature's image we need to use the ingredients and building blocks taken directly from nature itself. When you get started using essential oils to heal, learn about some of the most important essential oils and what they do. Discover the characteristics of each essential oils and its individual healing properties and which essential oils they best mix with for maximum effect. Also discover what their role is in the use of fragrances and the type of effect they have on mood and how they can be used for stress relief, and more. Discover the natural scents that heal. This guide provides you with many proven scents that heal naturally. Working together with all of the other guides this will provide you with a wealth of information on Aromatherapy and its healing power. This guide will take you inside Aromatherapy an the roots. By understanding everything about Aromatherapy will better help you use it to the optimum effect. You will see that Aromatherapy is more of an art rather than a science. We're so confident that you'll benefit from the Aromatherapy First Aid Kit that we're giving you a full 8 weeks, that's 60 days to try the natural remedies locked within its pages and if you find that for whatever reason it's not for you or you're not completely thrilled about our product, then all you need to do is simply drop us an email within the 60 day time frame of ordering letting us know and we'll promptly refund you, no hassles, no questions. 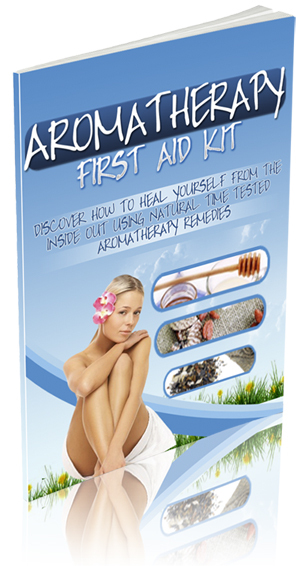 PS - Aromatherapy First Aid Kit is availabe in digital format so that you can be reading and following the natural remedies found within its pages in just minutes from now. No waiting for postage or shipping you get it moments after ordering. 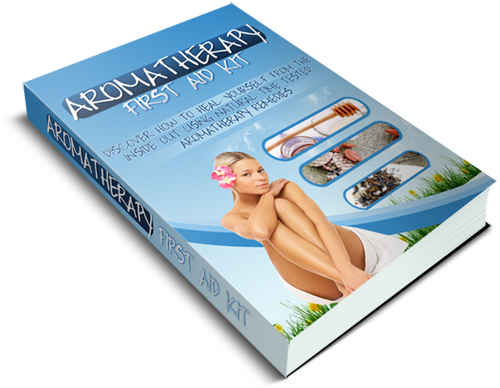 All you need is Adobe Reader to view your Aromatherapy First Aid Kit ebook and bonus. Don't worry if you don't have a copy, you can grab one from us for free. YES! I know that with the Aromatherapy First Aid Kit system that I will receive and which is what I need to help me heal and to get my health back in balance. YES! 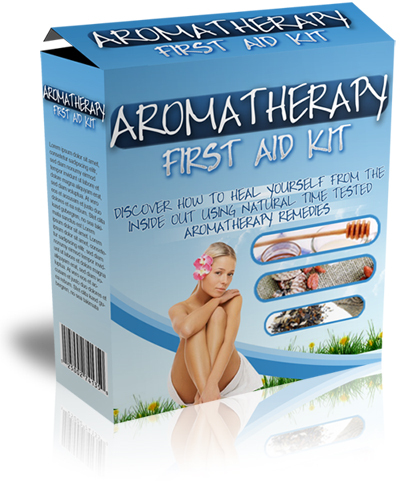 I know that when I purchase the Aromatherapy First Aid Kit system I will receive the Aromatherapy First Aid ebook, essential oils and the bonuses. YES! I also know that with the Aromatherapy First Aid system I have 60 days to try this system out and if at any time within that 60 days I find that your system is not for me, I can drop you an email for a full refund, no questions asked. 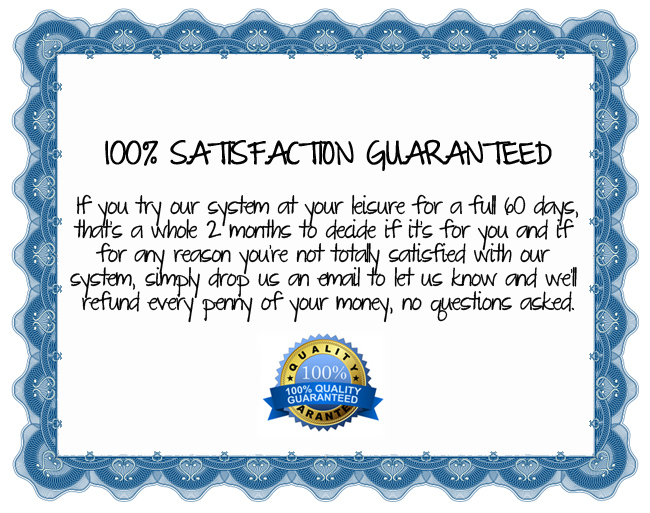 Zero Monthly Fees - 200% Risk FREE! This site and the products and services offered on this site are not associated, affiliated, endorsed, or sponsored by Google, Yahoo, Amazon, or Wordpress, nor have they been reviewed tested or certified by Google, Yahoo, Amazon, or Wordpress.